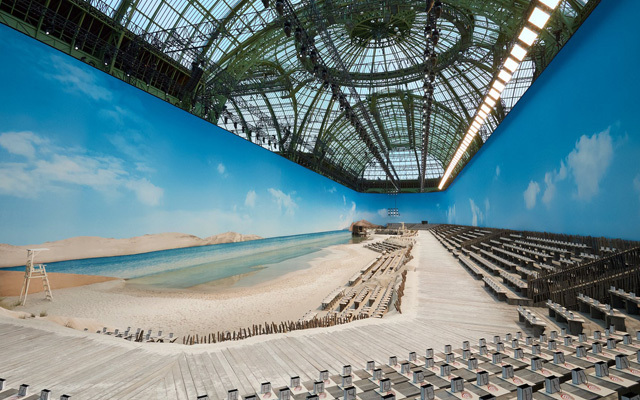 Fashion house Chanel have created a stunning beach scene at Paris Fashion Week to launch their latest collection. A beach was recreated that included blue sky, wooden docks and lifeguards – reports The Guardian . The elaborate scene utilised a wave machine to bring waves gently crashing onto the pristine sand. To ice the cake former Baywatch actor Pamela Anderson was in the front row. 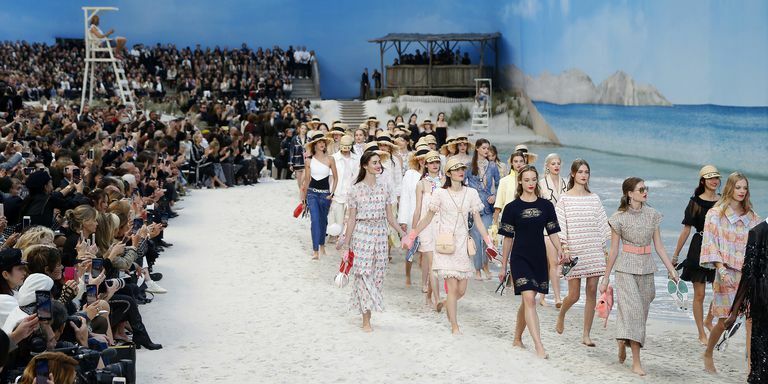 Lifeguards patrolled the shores in Chanel-branded beachwear and shades and shades. 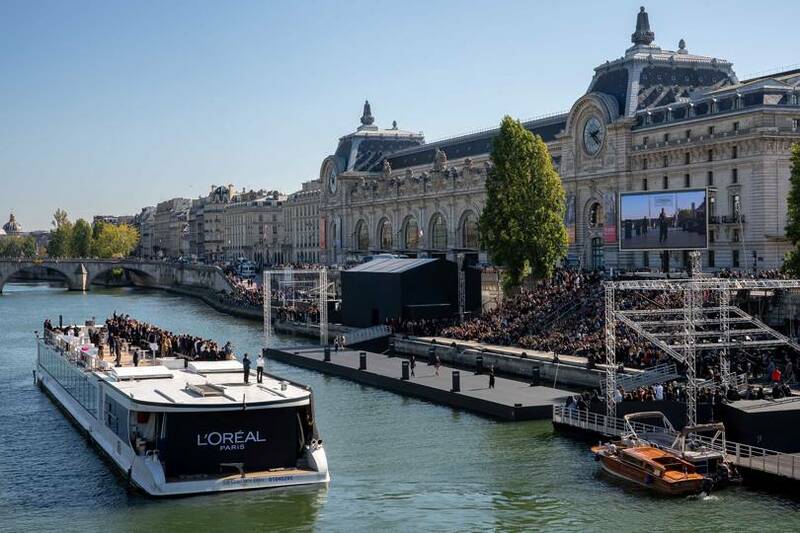 Meanwhile down the road L’Oréal hosted fashion show with a difference – installing a catwalk that floated on Paris’s Seine River. also seen in Vogue, Harpers and loads of other places.